Hendrick Motorsports was on a winning high coming into Texas. With Jimmie Johnson's victory last Sunday at Martinsville, coming to Texas the Hendrick four looked toonce again be on that winning path. Starting 13th, Kasey Kahne quickly jumped to the top ten in the beginning laps. His No. 5 looked to be a competitor, but handling plagued Kahne. As the sun was starting to set, the handling issues changed and his car seemed to be coming alive. 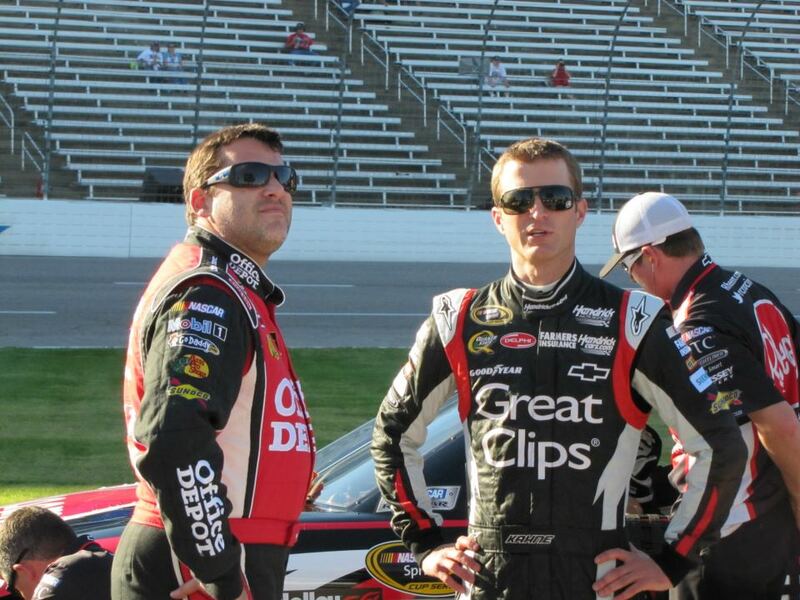 Kahne looked to be on his way to a top-10 finish, but on Lap 320 contact with teammate Jeff Gordon gave the No. 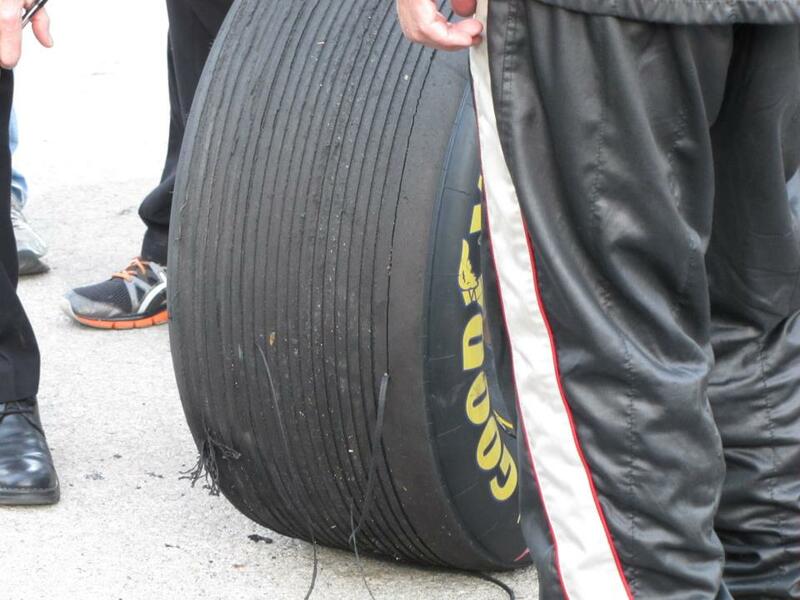 5 a flat right-rear tire. Kahne finished 25th and is fourth in the point standings. Jeff Gordon opened Sunday’s race in 16th and within 48 laps he’d managed to crack the top ten. For most of the day he stayed inside the top ten and even managed to race as high as second. But on Lap 270, the No. 24 made an unscheduled pit stop as he had a tire going down. He came out a lap down, but luck seemed to be on his side. On Lap 275 a debris caution waved, getting Gordon back on the lead lap. 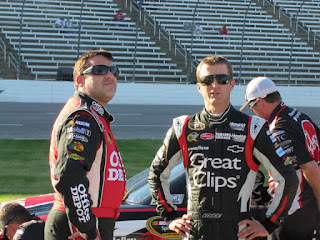 Despite slight contact with teammate Kasey Kahne, he finished the day 14th, and sits sixth in the point standings. 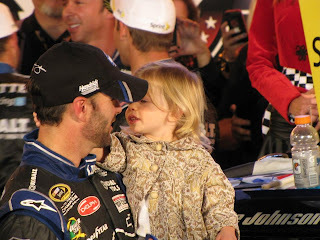 After winning at Martinsville, Jimmie Johnson went into the Lone Star State with not only momentum, but also the points lead. And starting from the pole, it was looking to be “The Jimmie Johnson Show.” Johnson led a total of 168 laps; he never left the top five. Although he and Brad Keselowski, along with Kyle Busch, took turns leading from Lap 173, it wasn't till Lap 327 that things started to get heated. Johnson and leader Keselowski raced hard for the win. Both were neck and neck in the points. Keselowski looked to be on his way to winning when the final caution came out. As the final restart waved, Johnson jumped and drove off with the lead, sealing the deal, winning on back-to-back weekends and keeping the points lead as well. 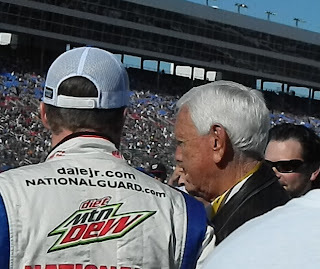 Junior Johnson visits Earnhardt Jr. pre-race. After a bad weekend in Martinsville, Dale Earnhardt Jr. came to Texas looking for a good finish. Starting 19th he rapidly advanced to 13th by Lap Six. He fell back a little and Earnhardt Jr’s day was mostly spent just outside the top 15. Not until till night fell did the No. 88 finally came alive. As the laps wound down, he looked to be getting a solid finish of fourth, but that final caution caused the No.88 to finish seventh. It was still a nice solid day for Earnhardt Jr, who remains 12th in points because after sitting out those two races it’s impossible to make it up lost ground.